Chandigarh/ New Delhi: Punjab Chief Minister Amarinder Singh on Sunday accused the Shiromani Akali Dal (SAD) of resorting to “false propaganda” to malign former Prime Minister Rajiv Gandhi’s image. Attempting to defend Rajiv Gandhi- father of his party boss Rahul Gandhi, Amarinder Singh claimed that Rajiv Gandhi “was not even present in Delhi when the violence broke out”. A written statement issued by Punjab Chief Minister’s Office reads: “Rajiv was in Contai, some 150 kms from Kolkata (then Calcutta), on an election tour of West Bengal, Captain Amarinder pointed out, accusing Sukhbir of blatantly and deliberately misinterpreting Jagdish Tytler’s statements in a TV interview. The Chief Minister also flayed Sukhbir for trying to link Rajiv Gandhi with a sting operation which Tytler had already dismissed as being a doctored video”. Amarinder Singh had earlier given ‘clean chit’ to Jagdish Tytler, a Congress party leader who faces allegations of organising genocidal violence against the Sikhs in November 1984. Meanwhile, Advocate Harwinder Singh Phoolka has lashed out at Punjab Chief Minister for protecting Rajiv Gandhi. He said that Amarinder Singh’s statement that Rajiv Gandhi was not even in Delhi when the violence had broke out was nothing but a lie. He said that Capt. Amarinder Singh’s statement is against the facts and even against the stand taken by the government of Rajiv Gandhi itself. Advo. Phoolka said that Rajiv Gandhi had arrived in Delhi at around 4 pm on the evening of October 31st 1984 and he went straight to AIIMS where body of Indira Gandhi was held. By that time no incident of violence against Sikhs had taken place in Delhi. He said that the violence started only after Rajiv Gandhi had a meeting with Congress leaders. 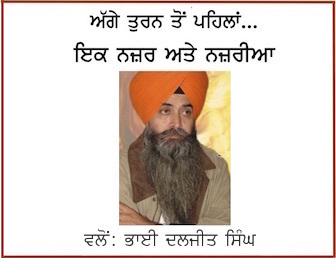 He maintained that the violence against the Sikhs was planned in that meeting. He said that first Sikh to be attacked in Delhi was the then President of India Giani Zail Singh at around half past five in the evening on Oct. 31. On being asked by the media persons what why Capt. 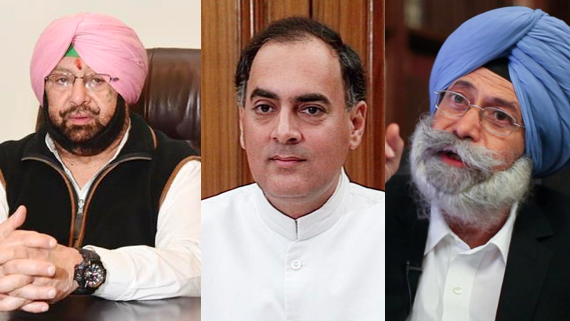 Amarinder Singh is defending Rajiv Gandhi and Jagdish Tytler, Advocate Phoolka said that Capt. Amarinder Singh himself can better answer this question.